Restore your Vodafone Message Center Number by following the simple and step by step process given in this article. Friends many time we delete Vodafone SMS Center number from our mobile phone accidentally and because of which the message outgoing services from our number get blocked. 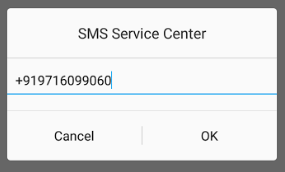 Every mobile carrier has their own and unique message center numbers like Airtel Message center number, Idea message center number etc. and in this post we are going to discuss the Vodafone message center number for all states in India. 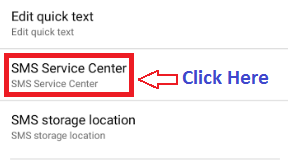 What is Message center number? Message center number is a gateway between your mobile number to the mobile network server through which your message get process. At first, We don’t need to restore this number in our mobile phone it’s get restored automatically by the network when we insert the sim for the first time in our mobile phone. But sometimes we accidentally change the number with another one or delete the whole Message center number of Vodafone from our mobile phone. So, In this post, We are going to teach you the step by step process to restore that and get the working Vodafone Message center number for each state like – Delhi, Punjab, Mumbai, Kolkata, Tamilnadu, Gujarat, West Bengal, Rajasthan, u.p east, Chennai etc. 1- First of all open message box and then click on Settings option from the top left corner. 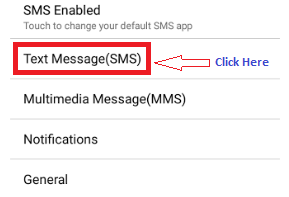 After applying and saving the SMS gateway number kindly restart your mobile phone in order to activate the new message center number on your mobile phone. Final Words: – So, It was the whole process to restore or save your missing Vodafone message center number in your mobile phone. In case if you are facing any issue while restoring the same in your smartphone then leave a comment in the comment box given below and we will try to help you restore your missing message center number at earliest. Just to be on the safe side make sure that you are not going to alter the message center number again in future. To save that from kids you can use any app locker which is available easily in Play Store to download.